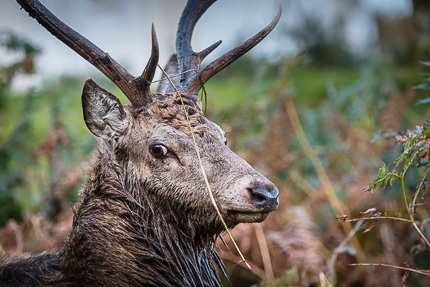 A new wildlife photo tour in Scotland, for Red Deer in the rutting season (Jura). A 8-days tour led by Patrick Dieudonne, professional photographer, in partnership with a well-known french travel agency, for online reservations and logistics. 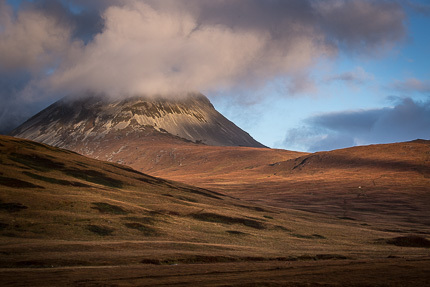 NB: Small groups of 4-7 photographers (+ guide) on this trip. Note: this trip is open to all nationalities. I speak french and english and will be happy to welcome not just french-speaking photographers but english-speaking ones too in the same group. 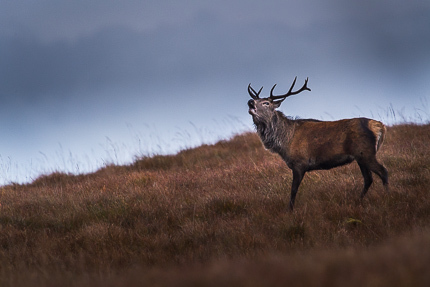 Close encounters with the superb scottish Red Deer in the hills of Jura, Scotland. 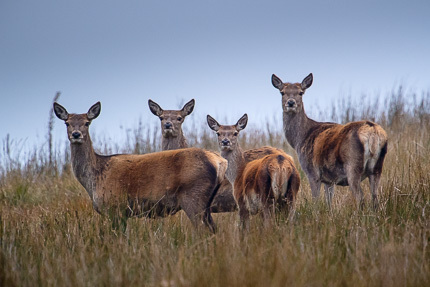 This new tour will provide fantastic opportunities to study and photograph wild red deers in the rutting season, in October. 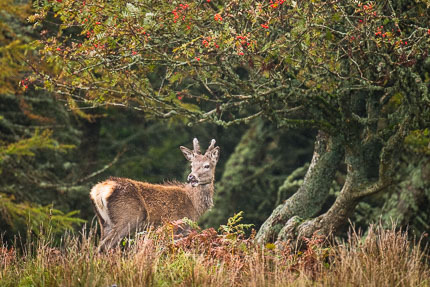 Various settings and landscapes, lots of very approachable deers. 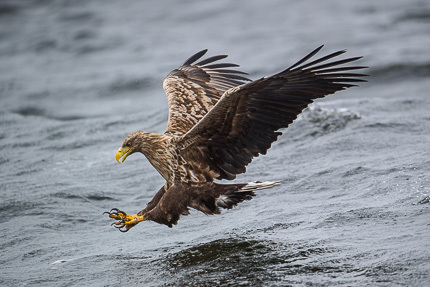 A must for the wildlife (and landscape) photographer. Sessions of photo critic and advanced post-processing are also in the program, which can be adapted according to the weather. This photo tour will be guided in french (and english) by Patrick Dieudonné, pro photographer. In partnership with a well-known french travel agency. Supplement for single room: approx. 200 EUR. Day 1(Sunday) Edinburgh airport arrival in the morning (direct flights from Paris), then approx. 150 km to the ferry terminal. Ferry to Islay, first night on Islay. 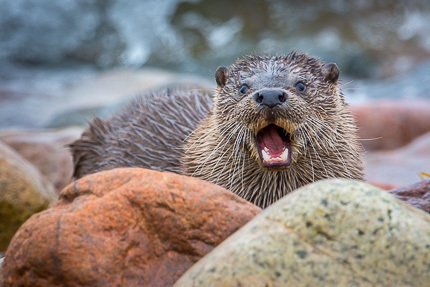 Day 2-7 Photography in various places on Jura, for red deer of course, but there are also good possibilities for otters, and possibly eagles (white-tailed). • Accommodation, in hotel or B&B. • Lenses for wildlife : 300 mm or more, additionally for landscape or larger views, a wide-angle (below 24 mm), a transstandard 24 or 28-70 mm, a medium telephoto zoom lens (70-200). A reasonable level of fitness is required. Short walks of moderate level are possible. You should therefore be able to adapt to these conditions and be in good general fitness for a duration of 8 days. Clothing: The climate is generally good at this season, however we recommend windproof and breathable Goretex and layers of warmer clothes. Woolen hats and gloves, waterproof and breathable pants. We will not walk long distances with equipment. But you must be physically fit and able to carry your gear and tripod for a few hours. Bring good walking shoes (all leather shoes are recommended), a pair of gaiters can be useful. • Accommodation: Accommodation will be in hotel or B&B. Meals generally in restaurants or pub. • Transportation: We'll use a hired car, a 9 seater for a group of 6-7. Pre-booking on this site (please use the form above), then we will arrange booking deposit and final payment with our travel agency.